The main focus of this tour is to explore the island’s rich history and discover the scenic hill country with his tea plantation and waterfalls. Climb the famous Sigiriya Rock. 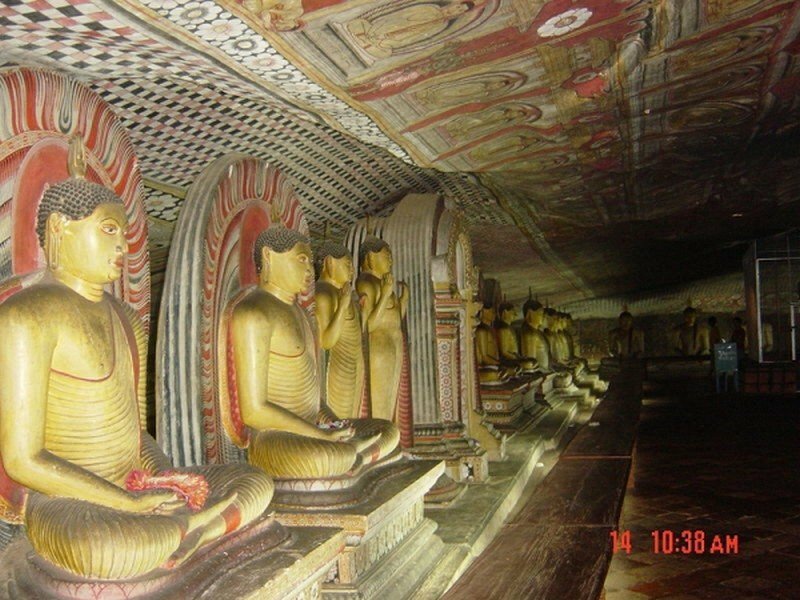 Discover the Dambulla Caves and visit the Golden Temple. Enjoy a wild life safari in the Minneriya National Park. Feed the baby Elephants at the Elephant Orphanage. Enjoy a fresh cup of tea in Nuwara Eliya at the Mackwood tea factory. Take a stroll through the Horton Plains / World's End National Park. Enjoy a wild water rafting adventure. Early morning at 6:30, We leave for Pinnawala, On the route we stop at a Pineapple garden, after this visit we proceed to the Elephant Orphange in Pinnawala. Around 9:15 start the feeding time, The Baby Elephants getting their milk, Around 10:00 the Elephants going for a bath in the river. We proceed to the Elephant riding place, there you can ride on a Elephant through the jungle. After this visit we proceed to Dambulla. In Dambulla we will sightseeing the city and visit one of the biggest vegetables market in Sri lanka after this visit we proceed and visit the Dambulla Caves. The Dambulla Caves Dating back to the 1st century BC, this is the most impressive cave temple in Asia. It has five caves under a vast overhanging rock, carved with a drip line to keep the interiors dry. In 1938 the architecture was embellished with arched colonnades and gabled entrances. Inside the caves, the ceilings are painted with intricate patterns of religious images following the contours of the rock. After we visit the Dambulla Caves we proceed to the giritale hotel. After breakfast we proceed to Anuradhapura. Anuradhapura is one of the ancient capitals of Sri Lanka, famous for its well-preserved ruins of ancient Lankan civilization. From the 4th century BC, it was the capital of Sri Lanka until the beginning of the 11th century AD. During this period it remained one of the most stable and durable centers of political power and urban life in South Asia. The ancient city, considered sacred to the Buddhist world, is today surrounded by monasteries covering an area of over sixteen square miles (40 km²). We wil visit the Sri Maha Bodhi An offshoot of the historical Bodhi tree under which Buddha became enlightened was planted in Anuradhapura in 288 BC, Abhayagiri Dagaba, This is one of the most sacred Buddhist pilgrimage towns and extensive ruins in the world. Ruwanwelisaya Stupa is considered a marvel for its architectural qualities.Thuparamaya Collarbone of Buddha is enshrined in the chetiya of Thuparamaya. It is the first dagaba built in Sri Lanka. Lovamahapaya Also known as Brazen Palace Lovamahapaya is a complex which was once a structure of its own class. Jetavanaramaya This is the largest stupa in Sri Lanka. It was the third largest structure in the ancient world. Mirisaveti Stupa It was built by King Dutugamunu after defeating King Elara. A legend associates it with the relics of Lord Buddha. Lankarama This is a stupa constructed by King Valagamba in an ancient place. After we visit Anuradhapura we proceed to the Giritale hotel. After breakfast we proceed to Polonnaruwa. Polonnaruwa The second most ancient of Sri Lanka's kingdoms, Polonnaruwa was first declared the capital city by King Vijayabahu I, who defeated the Chola invaders in 1070 CE to reunite the country once more under a local leader. Sri Lanka's medieval capital (11th - 12th Century AD) is a well-preserved city of ancient dagobas, moonstones, beautiful parks, massive buildings and stunningly beautiful statues. The majestic King's Council Chamber, the Lotus Bath, the Lanka Thilaka Viharaya, the Gal Viharaya (rock temple) and the statue of one of Polonnaruwa's great kings, Parakramabahu, are a few of this capital's memorable sights. After this visit we proceed and visit a wood carving factory. After this visit we proceed to the Minneriya National Park. In the Minneriya National park we start the wild life safari. After the wild life safari we proceed back to the Giritale Hotel. After breakfast we proceed to the Sigiriya rock, Sigiriya (Lion's rock) is an ancient rock fortress and palace ruin, We start climbing the rock. after we are back from the top of the rock and you like it you can take a ride on a Elephant. After this we proceed to Matale, In Matale we will visit a spice and herbal garden and the Hindu Temple. After our visit at Matale we proceed to Kandy. 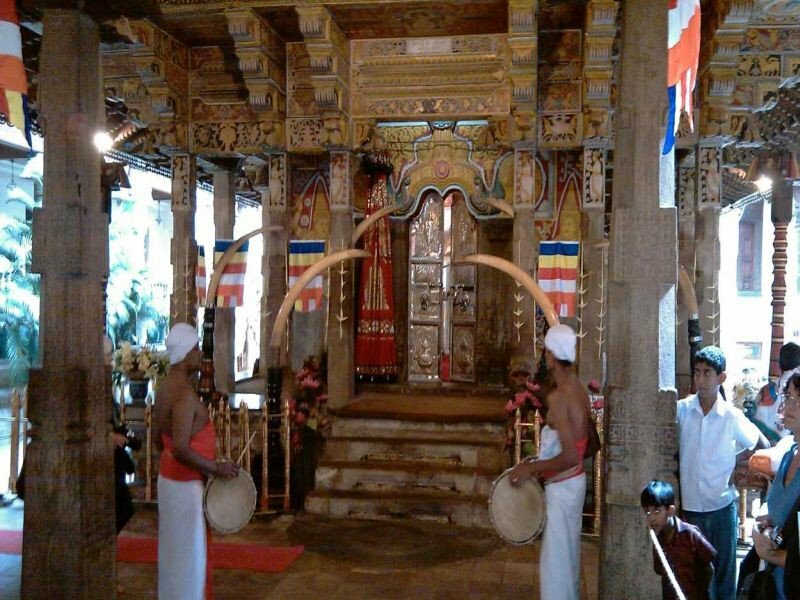 In Kandy we will visit the Temple of the Tooth and in the evening the Kandyan Dancers. After the Kandy dance performance we proceed to the ThiLanka Hotel. After our visit at the Botanical Garden we proceed via the Ramboda Pass to the Ramboda waterfall, after we visit the waterfall we proceed to Labookellie where we will visit the tea factory. After this visit we proceed to the Oak Ray Tea Bush Hotel in Nuwara Eliya. After breakfast we leaving for the Horton Plains / World's end. Horton Plains National Park is a protected area in the central highlands of Sri Lanka and is covered by montane grassland and cloud forest. This plateau at an altitude of 2,100–2,300 metres (6,900–7,500 ft) is rich in biodiversity and many species found here are endemic to the region. The sheer precipice of World's End and Baker's Falls are among the tourist attractions of the park. After we visit the Horton Plains we proceed back to Nuwara Eliya. 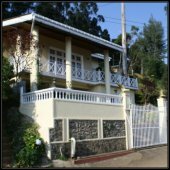 In Nuwara Eliya we sightseeing the city and visit a flower farm, after we have seen Nuwara Eliya we proceed back to the Oak Ray Tea Bush Hotel. After breakfast we proceed to Kitulgala. The Kelani River (the broadest river in Sri Lanka) flowing through Kitulgala was the main location where the Oscar winning movie Bridge on the River Kwai was filmed. Here we go for White Water Rafting adventure. After we have finished the White Water Rafting we proceed to Colombo, in Colombo we sightseeing the city. After our visit at Colombo we proceed back to the airport or your hotel / Airport. Nice Holiday with Excellent Service !! We get recommended by friends of us to use the service of PL Tours and Travels. From the first email till the drop off at the Airport it was a hassle free holiday. Our driver / guide Rohan did a great job. If you want to take a stop for a picture or a coconut drink it was no problem. He stop where we want. He is a knowledgeable driver and guide. 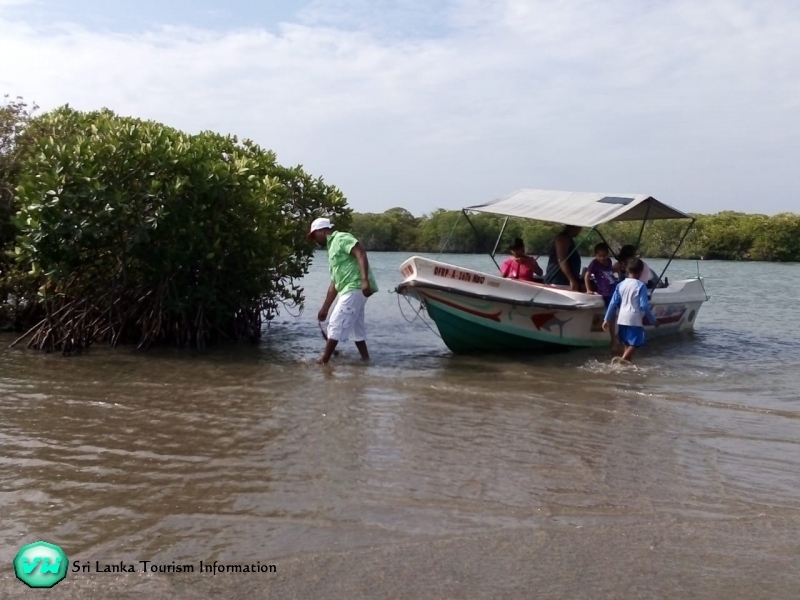 PL Tours arrange in Anuradhapura, Sigiriya, Dambulla and Polonnaruwa a local guide who knew everything about the history of the Ancient cities. If you looking for a hassle free journey in Sri Lanka we recommend to choose PL Tours. William and Rohan thank you very much for the wonderful time we have in Sri Lanka. We hope to visit the country again in the future! We get in contact with PL Tours via a friend of us who already did a tour with them. Must say excellent service!! Nothing is to much, they do everything to give you a Holiday you will never forget! The email correspondence was very quick with William from PL Tours. William answered all our questions and when we have a special request Lasantha arranged that during the tour. Dinesh our driver / guide did everything for us buying fresh fruits stop at local restaurants, where we taste the delicious Sri Lankan Food..